Given his close relationship with Jung Joon Young, Eddy Kim had always been rumored to be involved with this molka group chat nonsense, and now MBC Newsdesk is reporting that he was indeed a member. On April 4, MBC’s “Newsdesk” reported that Eddy Kim was a member of a group chatroom in which Jung Joon Young shared illegally filmed footage of sexual activity. According to the report, the group chatroom in question included a total of 9 singers—Seungri, Jung Joon Young, Roy Kim, Kangin, Lee Jong Hyun, Yong Junhyung, Jeong Jinwoon, Choi Jong Hoon, and Eddy Kim—as well as model Lee Chul Woo. Speaking of those names, Roy Kim‘s status has changed from a witness to a suspect, and he has been booked for spreading illegal photos as a part of his involvement in the chat. On April 4, a source from the Seoul Metropolitan Police Agency revealed, “We booked and notified Roy Kim to be investigated for charges of violating the Act on Promotion of Information and Communications Network Utilization and Information Protection, etc by spreading illegally taken footage.” When asked if Roy Kim directly filmed the spread footage, the police answered that it hasn’t been confirmed. The source further explained, “Singers Jeong Jinwoon, Kangin, Lee Jong Hyun, Yong Junhyung, and model Lee Chul Woo, who are being mentioned as participants of Jung Joon Young‘s KakaoTalk chatroom, are still considered witnesses.” Roy Kim is facing charges of spreading illegally taken photos. Notably, police group Kangin, Lee Chul Woo, and Jung Jinwoon together with Yong Junhyung. There are questions about whether the trio were simply in a ‘Hitmaker’ group chat that was for the show or whether they were included in one of Jung Joon Young’s molka group chat but just did not distribute any, similar to Yong Junhyung’s involvement as far as we know. Either way, while they are included as witnesses, they won’t be charged much like Yong Junhyung wasn’t. It would be nice if the media or police could provide clarity on the ‘Hitmaker’ trio’s exact involvement even though legally it’s rather inconsequential. Because obviously there’s a big difference between just being in a group chat with Jung Joon Young where nothing was happening but show updates and being in one where molka was being shared even if they didn’t share anything themselves. Eddy Kim’s company, Mystic Entertainment, has released a statement. Hello, this is Mystic Entertainment. We are informing you of our position on the report made by MBC’s “Newsdesk” about Eddy Kim on April 4. On March 31, Eddy Kim went to the police station, where he underwent questioning for approximately two hours. 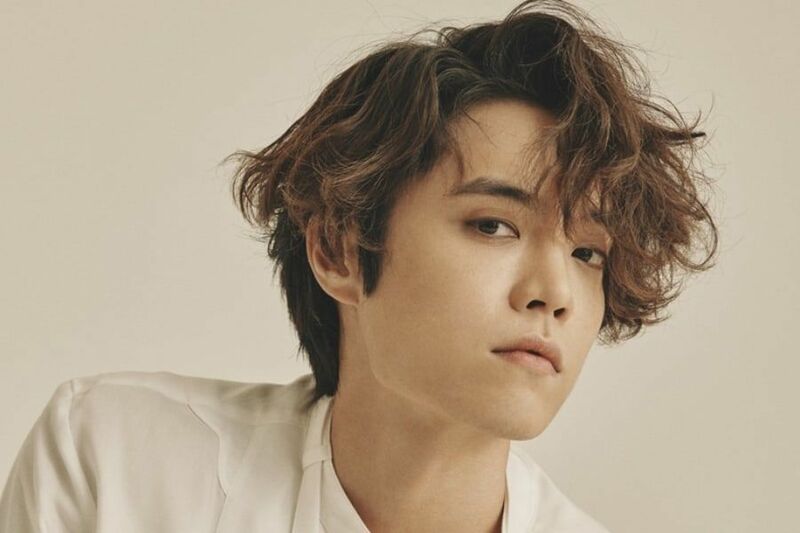 While it is true that Eddy Kim was a member of the group chatroom, it has been confirmed that he did not film or spread any illegal footage, such as hidden-camera videos. However, he was investigated [by the police] because it came to light that he had posted one sexual photo [in the group chatroom] that had been floating around on the internet. Eddy Kim has become deeply aware of the gravity of this matter, and he is reflecting very seriously [on his behavior]. We sincerely apologize for giving you cause for concern. So his company admits he was in a molka group chat and that he shared one sexual photo, but denies that it was anything illegal like molka. Not sure that would make his involvement any better, honestly.